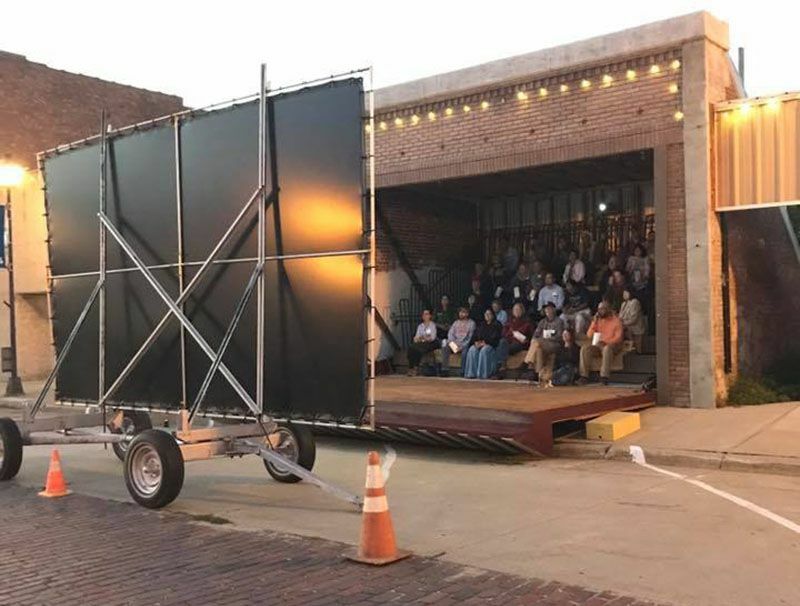 Folks sometimes assume that only cities have opportunities for public art and innovative projects, but this historic theater in the small town of Lyons, Nebraska, shows that assumption simply isn't true. 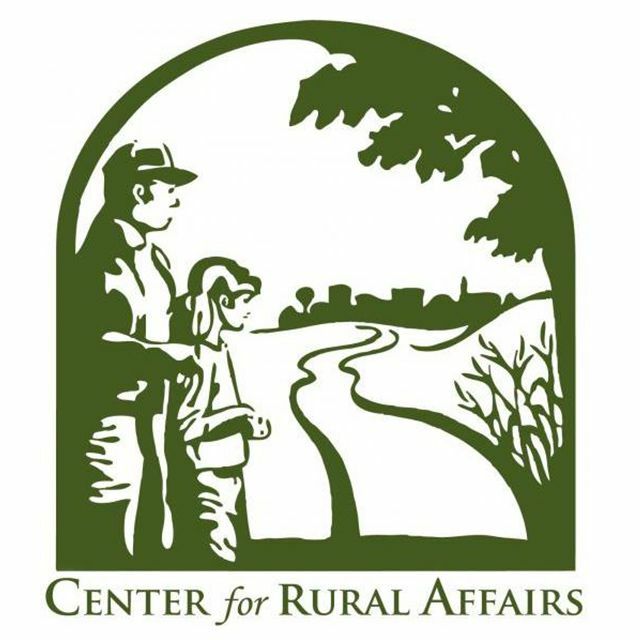 The Center for Rural Affairs looked at community-supported art as one way to bring attention to arts and culture in the small towns of Decatur, Lyons, and Oakland. The Byway of Art began in 2014 with an “outdoor living room” experience where couches, coffee tables, lamps, and snacks were placed on each town’s main street. Folks stopped by for a cup of coffee and sat to talk about their town: what they love, the history, and what their community meant to them. Ideas for public art pieces were developed from those first community conversations, and shared with folks in each town. Decisions were made and projects got underway. Lyons (pop. 851) chose to honor a movie theater that was built years ago. Today, the Storefront Theater is an outdoor movie theater that uses a formerly empty storefront on Main Street as its site. What looks like an ordinary storefront facade actually opens up and folds down over the sidewalk onto Main Street. The front of the building has been modified with two hydraulic pump arms, so the awning and false front are one unit that can fold down over the sidewalk with a push of a button. Cushioned bleacher seats (seating up to 80 people) pull out from inside the structure for people to sit and watch a movie on the other side of the street. The idea was born from an interest in revitalizing the downtown core of this 850-person town. Both the seats and the screen can retract and disappear when not in use — giving the impression that there is nothing unusual about the space — and using only word-of-mouth accounts to keep people intrigued. Movies are held there whenever the weather cooperates, complete with free popcorn, and the theater continues to draw folks from other towns and beyond. The CFRA saw community pride grow, people truly enjoying each piece of art, and a desire to revisit these towns again. That’s community development at its finest. We are unapologetically rural. We stand up for the small family farmer and rancher, new business owner, and rural communities. For more than 40 years, we've been a leading force engaging people to build a better rural future. We live this work. Welcome to our rural revolution.